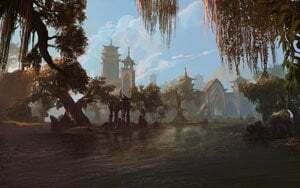 Ebonheart Pact is a Faction in Elder Scrolls Online. Jorunn, of Eastern Skyrim, is acting High King of the Great Moot, but he does not rule absolutely. His decisions must be ratified by all three races in a unique form of governance called The Great Moot. He is down-to-earth, humorous, and has an iron will to succeed. 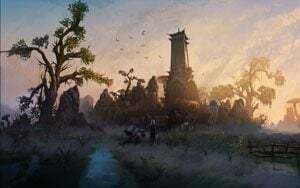 "The alliance between our races was born in dark times, when Nord, Dunmer and free Argonians fought as one to repel the invasion of the Akaviri slavemasters. Our greatest strength is the adversity we have overcome. Our resolve is glacial, our might is forged in fire, and our courage, cultivated by the beasts of the jungle. We are Ebonheart. We are as one. And by this, our victory is assured." 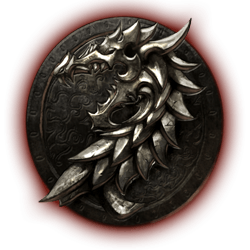 The Ebonheart Pact is the most unlikely of the three alliances. 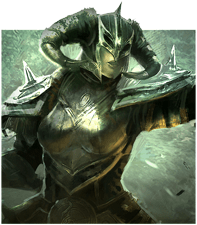 The Nords and Dark Elves have a long history of conflict,and the Argonians were enslaved by the Dark Elves for thousands of years. It was the Akaviri invasion that forged a bond between them. Now they are determined to control their own destiny by defeating the Empire, while preserving their own fiercely independent homelands. The Nords are the brash, boisterous front line of the Pact; fierce warriors and expert weapon masters. 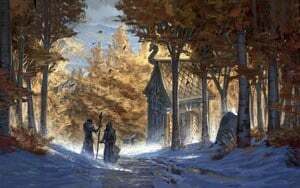 The Dark Elves have a natural affinity for magic. 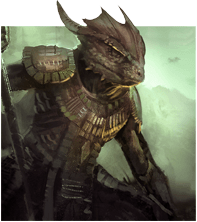 The Argonians are the best guerilla warriors in Tamriel. The combined strength of these unlikely allies makes the Ebonheart Pact a fighting force of extraordinary power. 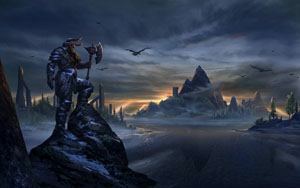 "Before Ysgramor led the Nord people south, our ancestors flourished in the frozen continent of Atmora, and to this day our people prefer the bitter climates of northern Tamriel. 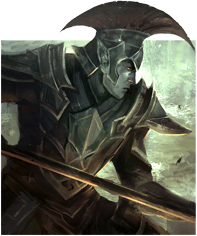 The Dark Elves abide in Morrowind, a harsh land of ashfall and perpetual earthquakes. 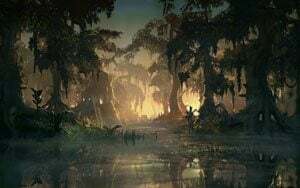 The Argonians endure the treacherous and impenetrable depths of Black Marsh. 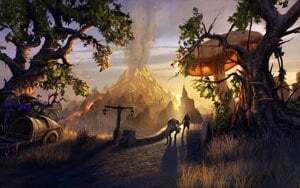 The alliance between our races was born in dark times, when Nord, Dunmer and free Argonians fought as one to repel the invasion of the Akaviri slavemasters. Our greatest strength is the adversity we have overcome. Our resolve is glacial, our might is forged in fire, and our courage, cultivated by the beasts of the jungle. We are Ebonheart. We are as one. And by this, our victory is assured." For some reason, some of the Ebonheart Pact area pages have Daggerfall Covenant as the Faction by mistake. Hail the Nords of Skyrim! Imperial Milkdrinkers are no match for the powerful Nord Army. Hail Talos! 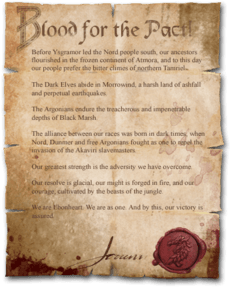 The Ebonheart Pact speaks true and we shall fight as one against the filthy Daggerfall Covenant and the filthy Aldmeri Dominion. Death to the Aldmeri Dominion, Empire, and the Dagerfall Covenant. Hail the Ebonheart Pact. Hail the Nords of Skyrim!!! But what do the ebonheart pact fight for?